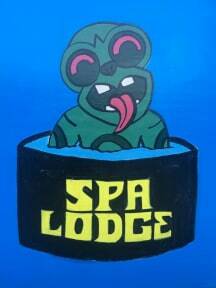 Welcome to the Spa Lodge, the best value budget accommodation facility for travellers in Rotorua. We are one of the original eco-friendly businesses in New Zealand: we pump geothermally heated water to heat up tap water for showers and heat radiators in the whole facility. This is not only good for the environment but it also helps keep our costs, and consequently, our rates down (one of the lowest in Rotorua!). Furthermore, we offer up to 40% discount from the daily rates for longer stays!! We have 24 rooms with 60 beds in various configurations (singles, doubles, twins, quads, dorms (5-6 bunk beds)). 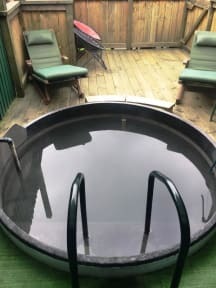 In addition, we are the only hostel in Rotorua that offers a natural outdoor mineral hot spa on-site (a $25 value at the nearby world-class Spa) free for our guests. Nothing beats stargazing or moon watching while immersed in a bubbling hot pool during a cold cloudless night! Although we are right in the middle of the city, we have an inner courtyard where our guests can enjoy the sun during cold spells and an outer courtyard where guests can chill off in the shade in warm weather. We have a barbeque for guests to use during those long summer days. We are just 8 minutes on foot from the bus station and 2 min away from Rotorua Central mall. We are literally minutes away (on foot) from just about everything that matters in Rotorua! We provide free linen, wifi, DVD rental, coffee and tea, great discounts for long-term stays, package tours and bookings for Mana bus and Naked bus. We also offer free luggage storage and use of a safety deposit box. We have 3 fully equipped kitchens, two guest lounges, and laundry facilities.